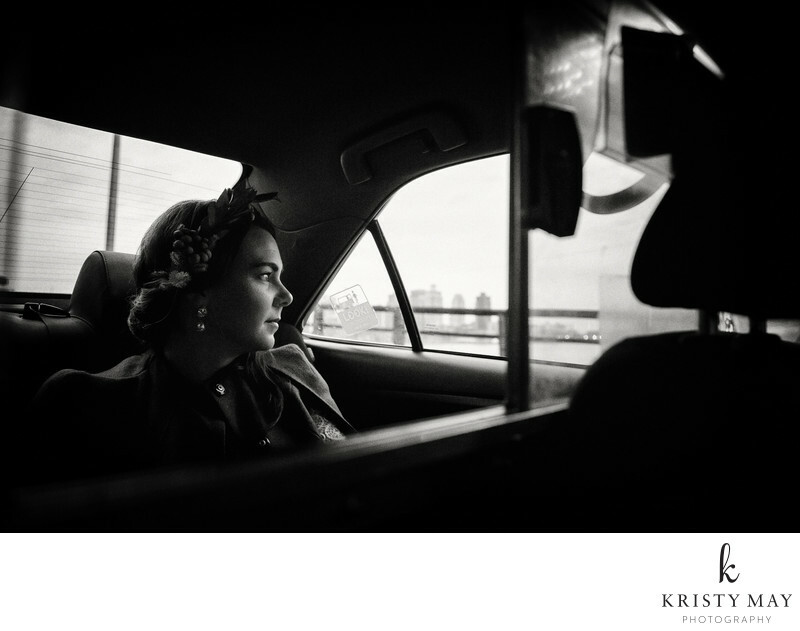 Bride looks out the window of a taxi on way to NYC City Hall Marriage Bureau for her elopement wedding ceremony. One of the most "New York" ways to travel on your wedding day is in a taxi. You can hail a cab or rent a vintage one for the day. Either way, your wedding photographer can take advantage of the downtime to take a few memorable images while in transit.